What are the various types of SEO? SEO Consulting (SEO stands for Search Engine Optimisation) is the current buzz occupation in the Internet Business today. Since the inception of the web, the number of website creation have soared to an all-time high. While a significant amount of these websites are personal sites that the owner puts up for his personal satisfaction, a rapidly increasing number of them have been put up for a commercial purpose. And the demand for SEO consulting firms or individuals has risen also. Black Hat SEO is perceived as SEO spamming. From the second term itself, you may have an idea of what this kind of SEO service offers. Black Hat SEO theory is focused on creating sites that are aimed at manipulating or cheating search engines for bigger site ranking. Black Hat SEO relies massively on automation to come up with scores of substandard pages and pulls links from other sites which are irrelevant. Consequently, this SEO approach usually gets weak or irrelevant search engine result pages or SERP quality. What is beneficial for Black Hat SEO is that it can see your site to the top of search engine rankings in a very short time but can crash your site as quickly as it went up. It is not a wise SEO services strategy concerning web design viewpoint. Worse, once search engines find out that your site misrepresents their results; your website may and will run the risk of getting penalised or crashing from search results. So if you want to get on top of search engine listings in a matter of days and are ready to take the risk of defying search engines guidelines, Black Hat SEO services should do the trick for you. SEO firms offering White Hat SEO services will concentrate on the powers of putting good quality and relevant content onto your site. As well as being effective marketing strategies to rank sites on top of SERPS. White Hat SEO is considered to be a better SEO tool. It does take longer to rank on SERPS with this strategy but does pay off as your results will be more sticky. While Grey Hat SEO is mid-way between the two types above it is all about the balance between risk and reward. There are a wide number of SEO services solutions categorised under this. 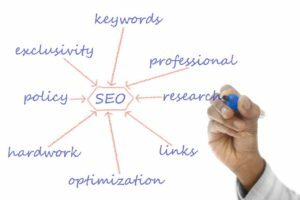 Some Grey Hat SEO services may tend to use more obscure strategies and take even greater risks to deliver fast and high search engine rankings and forget about proper search engine guidelines and may put you at risk. So be prepared with SEO services that use Grey Hat, be sure to what you are exactly subjecting your online site. Which hat should you choose? All major search engines such as Google, Yahoo and Bing recognise that Black Hat is bad SEO, White Hat is good SEO, while Grey Hat is, well, for the most part, risky. Those practising Black Hat SEO services might tell you that White Hat is old fashioned and not working, and Grey Hat may be safe but not as effective. When no Grey or Black Hats are involved, those who prefer Grey Hat may claim that White Hat SEO Services is only useful. White Hat SEO services firms may tell you that Black Hat SEO users are tricksters and those providing Grey Hat are slackers. Through all these varying views, know that it is still up to you to decide the right type of SEO services for your business. It is your objectives and goals that will determine which type of hat you should wear. From my point of view, White Hat is better and more cost effective if you are serious about your business, and serious companies exclude: gambling, adult, and get rich quick sites. Some SEO "experts" believe that organic or ethical SEO is dead. Several black hat SEO blogs regularly post that white hat SEO techniques are doomed and don't work. That is pure "BS" and incorrect and just an act to accuse ethical SEO practitioners. A final word of advice: If you decide to hire an SEO consulting firm or individual, choose carefully. If an SEO consulting firm essentially gives away its service, you should be wary. SEO services providers that offer White Hat SEO will focus mostly on your site contents. White Hat SEO is supposed to be the better SEO tool. SEO should be done as part of an overall on and off page marketing strategy.